Dr Kenneth Boote is Emeritus Professor in the Department of Agronomy at the University of Florida, USA. He is widely regarded as a pioneer in crop modelling, helping to develop the DSSAT software application program that simulates growth for over 40 different crops. He is presently serving as Co-Lead for Crop Modeling in AgMIP, the global Agricultural Model Intercomparison and Improvement Project. Amongst his many distinctions, Professor Boote is a Fellow of the American Association for the Advancement of Science, the Crop Science Society of America and the American Society of Agronomy. This collection provides a comprehensive review of key advances in crop modelling, with a focus on developing the next generation of whole-farm models to improve decision making and support for farmers. Chapters review advances in modelling individual components of agricultural systems such as plant responses to environmental conditions, crop growth stages, nutrient and water cycles as well as pest/disease dynamics. The book also addresses the challenges of combining modular sub-systems into whole farm system models, including integration of rotations, intercropping and livestock. Chapters also review the performance of specific models such as APSIM and DSSAT and the challenges of developing decision support systems (DSS) from such models. The book also considers landscape models such as agroecological zone (AEZ) models and Coordinated Global and Regional Assessments (CGRA). 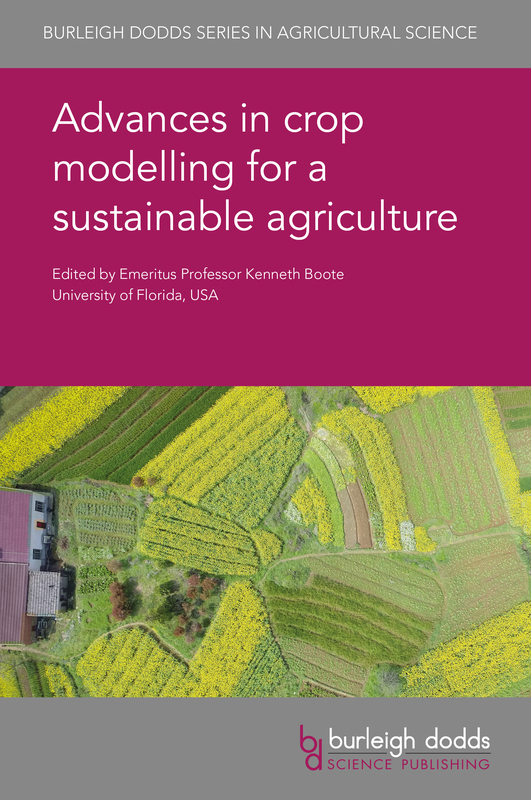 The final part of the book reviews wider issues in improving model reliability such as data sharing and the supply of real-time data as well as crop model inter-comparison.